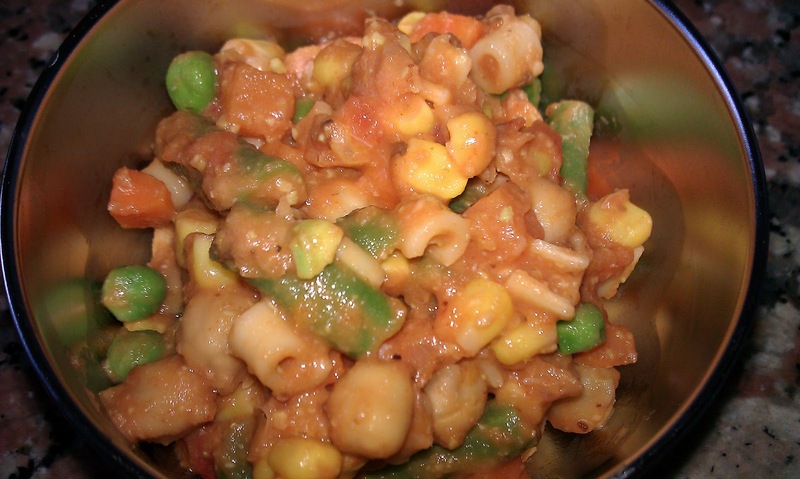 This is a super healthy and yummy meal for your little one. It also makes a great lunch for Mommy. It's full of vitamins A and C, protein, beta-carotene, potassium, calcium and whole grains. You can puree this for little one's 7+ months, or serve as is to little one's who are eating finger foods. I spoon fed this to my little guy because it would be really messy as a finger food. Especially since he loves throwing his food ALL over the place. Bring a small pot of water to boil. Add pasta and frozen veggies, and cook for about 5 minutes or until pasta is done. Drain and return to pot. Add garbanzos and sauce. Toss to coat. Sprinkle with a little Parmesan cheese. Let cool for a minute, then puree or serve as is. Make sure to test the temperature on your bottom lip before serving to your little one. Enjoy!